As someone who has had to do site measurements of some kind nearly my entire working life, i have kept a bit of an eye on this technology as i could immediately see the benefit in both time and cost saving from the very first time i laid eyes on it. Given that I was fortunate enough to be in a position to invest in a scanner for my business just recently i couldn’t resist the urge. However shortly after my huge investment of both time and money in this new technology, i lost my biggest client due to the economic slow down. Not one to lay down and feel sorry for myself I have spoken to literally hundreds of businesses about using our scanning services and below is a list of the most common questions I am asked. Most people that use any kind of 3D modelling in their industry have heard the term point cloud by now. What a lot of people don’t realise is that those point clouds are generated by 3D Laser scanners for the most part. 3D laser scanning, in the way most people in the building, construction, and engineering fields would use it, is a process of capturing an existing environment or large item using a Terrestrial Laser Scanner. This process involves a technician coming to the site or the place that the item is and performing (usually) multiple scans in order to capture the site or item. Once the scans have been performed, the technician then returns to the office with the captured data and correlates it into a point cloud file for use in applications like CAD and 3D Visualisation workflows, BIM CAD models, Analysis and other digital scene reconstruction purposes. 2) What is a Point Cloud? 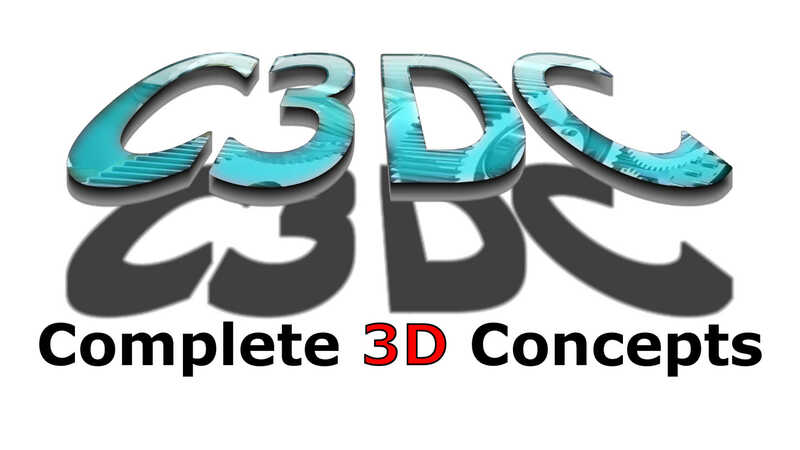 As the name suggests, a point cloud is a series of points in digital 3D space. Just like the Dot-to-Dot or Join the Dot books of our childhood, a Point cloud is a 3D series of points depicting something that has been digitally scanned in some way (minus the lines to make the picture). 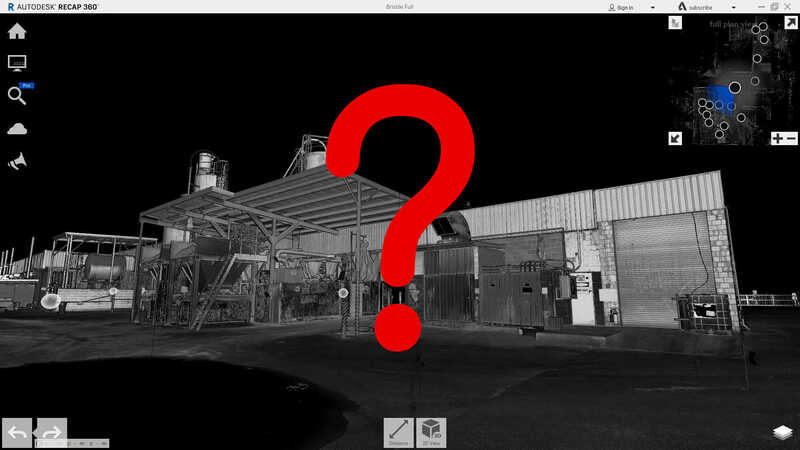 3) How does 3D Laser Scanning Work? The 3D Laser Scanner sends out a laser beam which then reflects off objects and returns to the scanners sensor. The scanner then uses its on-board computer to calculate where in space the return came from and creates an X, Y, Z coordinate relative to the centre of the scanner for each return. Some Scanners are capable of doing this up to 1,000,000 times a second. The result of this scanning process is a Point Cloud. 4) What can be scanned? 5) Can it pick up colour? The laser itself cannot detect colour, but some scanners have a built in camera for taking colour images once the laser scan has been done. Once the job is completed and the data is taken back to the office, the registration software lines up the laser scan and the 360 degree photos from each scan location. Where a point and a pixel align, the software assigns an RGB (Red Green Blue) colour value to that point. The software then uses this information to display the final point cloud in colour, meaning you get a 3D colour point cloud of the scan location. 6) What does the point cloud look like if I don’t get the colour photos taken? As well as recording an X,Y,Z coordinate for each return to the scanners sensor, most scanners also record an intensity of the returned light. When put into the registration software this return intensity value is used to display either a grey scale or RGB gradient colour value for each point. Most software is capable of displaying these colour values and as such it is still very easy to make out everything in the point cloud. Sometimes it is easier to see the details using the grey scale or RGB gradient as the cameras in the scanners are still not that great and most industrial facilities lighting layouts didn’t have photography in mind when they were designed. 7) Can you scan large areas or multiple levels of a building? Yes, it is possible to scan large areas and even multiple levels provided there is a way to traverse around the site, doing scans in locations with common lines of site. To be able to go up levels inside buildings, it is necessary to have at least one stairwell to traverse between levels. It is often preferred to have at least 2 stairways, one on either side of the building ideally, or a line of site to a common point though an open door or window from each level. 8) How many scans does it take to scan a site? 9) How much detail can it capture? Typically scanners refer the level of detail they capture by way of point spacing at 10 meters from the centre of the scanner. Most scanners are capable of scanning at settings from 50mm – 0.8mm at 10 meters. Most jobs will use the settings of either 6.2mm @ 10m or 3.1mm @10m depending on the thing being scanned and how much detail is required for the job. This means if there were a sphere with a radius of exactly 10m (20m diameter) centred around the scanner, the resulting point cloud would show as a spherical grid with a point every 6.2mm or 3.1mm. Due to the way the scanner works the closer something is to the scanner the more points it gets on it and vice versa. This means in most cases the scanner is picking up ultra fine detail due to the proximity of objects to the scanner. However most commercial scanners used for high definition scanning of project sites and equipment layouts are capable of getting returns from up to 120m or more away. If necessary, with some scanners, it is also possible to do small areas of a scan in finer detail to keep the scanning times to a minimum, but still get all the detail required. 10) How long does it take? Depending on the scanner and scan settings a scan can be done in as little as a minute or as long as 2hrs. The average time between scan locations on a job site (for us) is 6 – 20 minutes for most jobs, meaning very large areas can be covered in as little as a couple of hours or entire very large sites and buildings in as little as a few days. If you have any questions about laser scanning and point clouds, feel free to ask in the comments below. Next PostNext What is the “Best” drafting program to use?